Mailbox Remedies is an authorized supplier and the approved local installer of Whitehall Mailboxes. Purchase your new Whitehall Mailbox Package directly from Mailbox Remedies and we can install it for you. Simply let us know which mailbox package you would like using our form found below. We will provide you with a quote for your New Whitehall Mailbox Package including installation. Save 20% on your professional mailbox installation service when you purchase a Whitehall Mailbox Package from Mailbox Remedies. Use the form below to get started. Whitehall Mailboxes and their mailbox packages are considered to be the very best mailbox available. Elegant styling durable powder coat aluminum which includes free personalized side plaques. 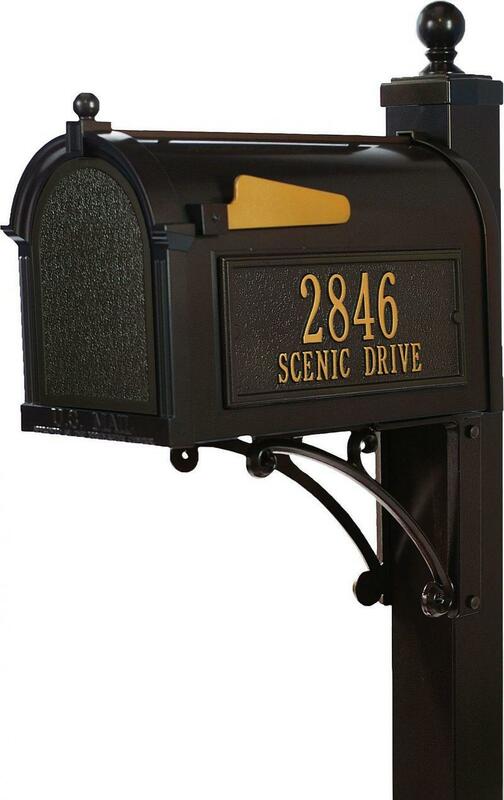 Add an air of elegance to the entrance of your home with a Whitehall Mailbox Package. Made from light-weight aluminum, which ensures strength and durability. Mailboxes are available in multiple finishes and you can pick the one that suits your home. 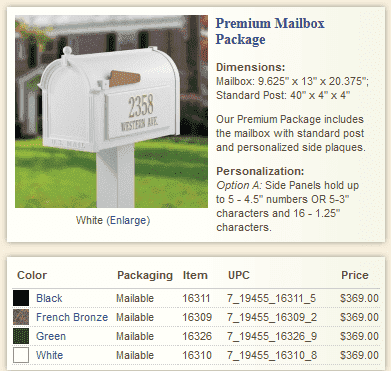 Mailbox Remedies offers the Whitehall Premium Mailbox Package at $310.00. 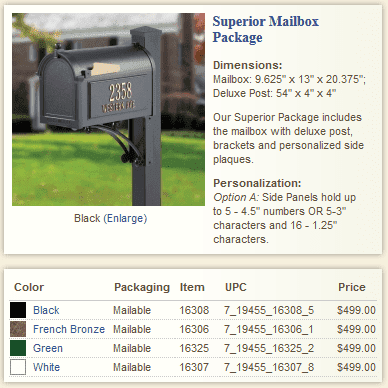 Mailbox Remedies offers the Whitehall Superior Mailbox Package at $420.00. 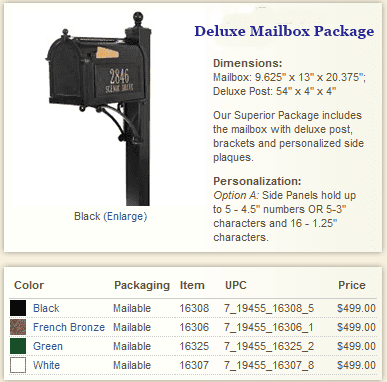 Mailbox Remedies offers the Whitehall Deluxe Mailbox Package at $420.00. Use the form below to receive your free estimate. Address can be given at a later date upon approval of quote.